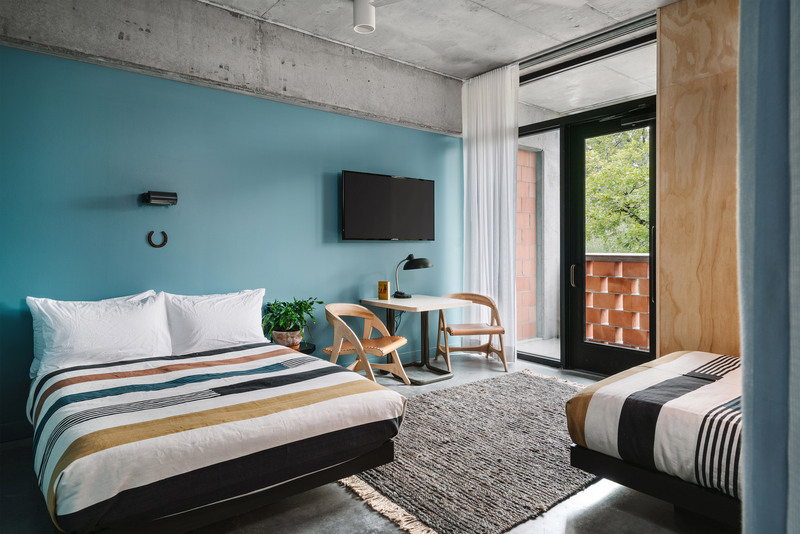 American studio Specht Architects has renovated and expanded a “mid-century-utilitarian” carpenters’ union hall building to create this hotel near downtown Austin. 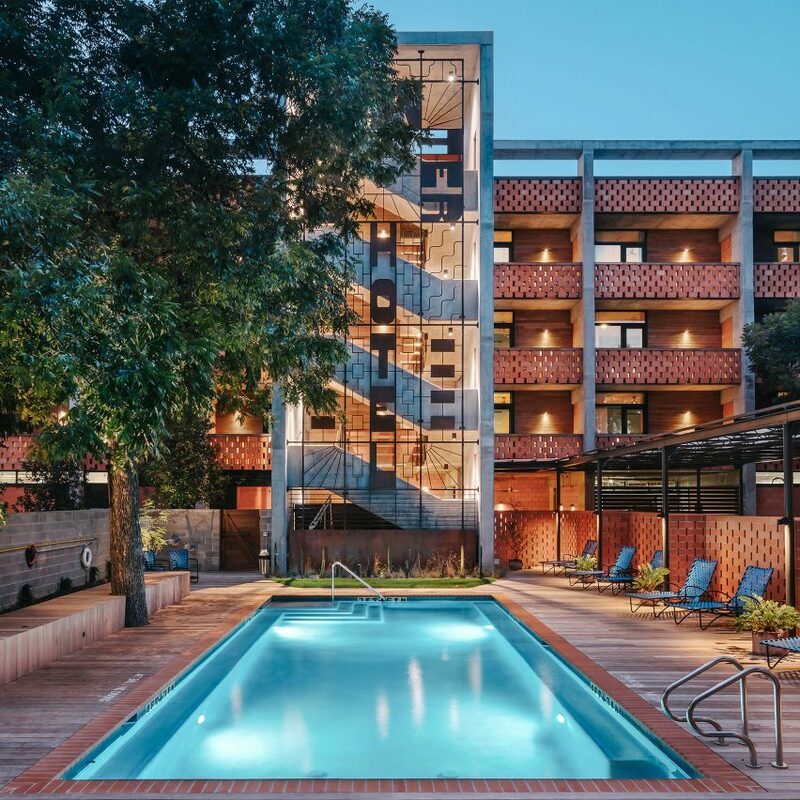 The brick and concrete Carpenter Hotel is situated within a pecan grove in one of the last enclaves of Old Austin, near the Barton Springs swimming hole. The compound is anchored by a 1940s landmark and former home of the city’s Carpenters’ Local 1266 union. 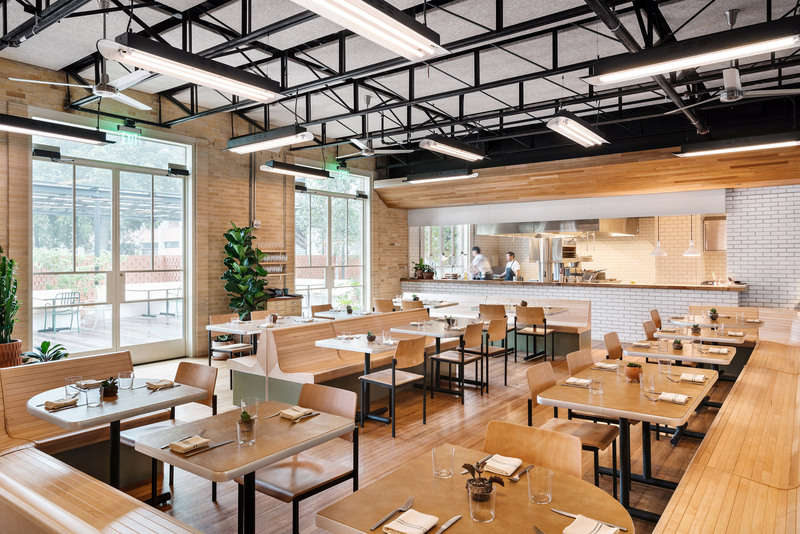 While the “mid-century-utilitarian” hall was repurposed into the boutique hotel’s lobby and restaurant, Specht Architects designed a range of complementary new structures. These accommodate 93 guest rooms, a courtyard and pool, and a Quonset-hut-inspired event pavilion. 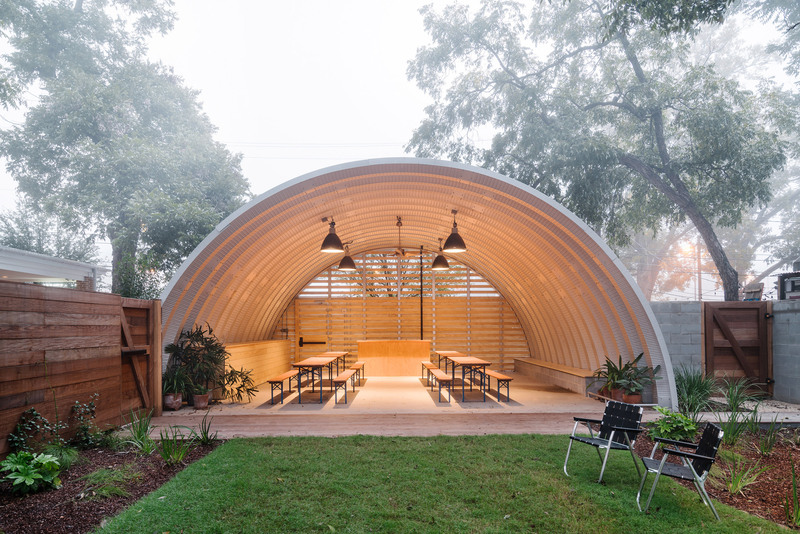 “It is a new take on the idea of adaptive re-use that doesn’t mimic what was existing, or create a bright line between the ‘old’ and the ‘new’,” said studio founder Scott Specht in a project statement. 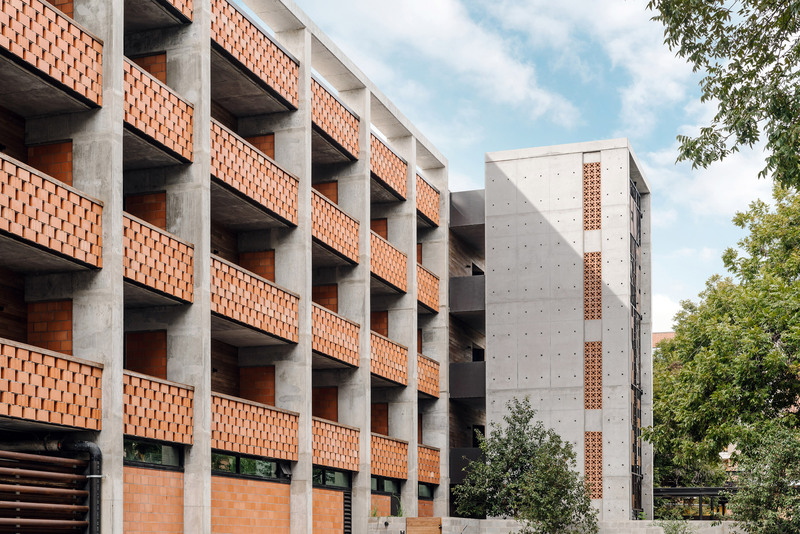 Composed of an exposed rough-concrete frame, the building also features infill walls made of recycled steel oil-drilling pipe and locally-sourced clay masonry blocks. The architects did not attempt to recreate historic styles or acquiesce to architectural trend, opting instead to “merge all the parts into an urban collage”. Raw materials are featured in their original form, with any decorative effect created by the spacing and patterning of basic elements. Existing pecan trees were preserved on-site by landscaping firm Pharis Design. Damaged trees were used to form wooden boards incorporated throughout the hotel’s interior. 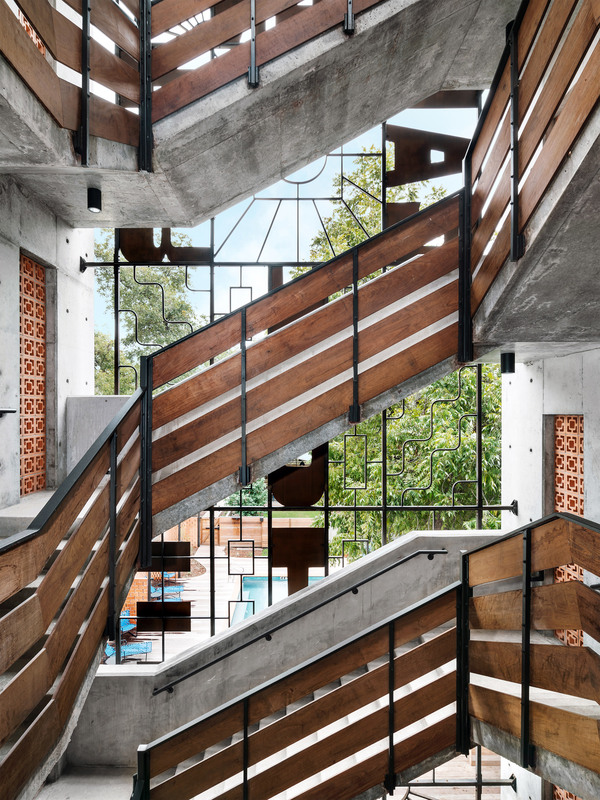 A 12-metre-high steel “Carpenter Hotel” sign is fastened to the exterior of the exposed concrete stairs. 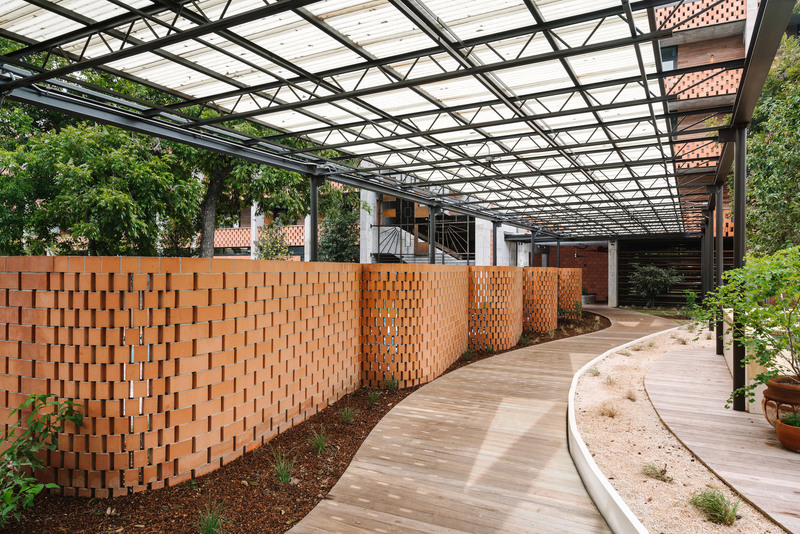 The rest of the facade and open-air corridors are lined with handmade terracotta blocks. 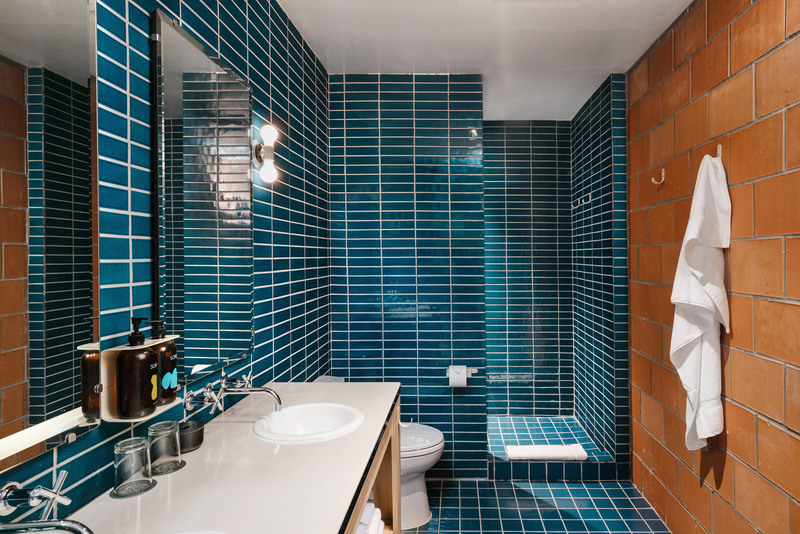 The 93 guests rooms were designed by Jen Turner of Austin-based hospitality project The Mighty Union to carry this exterior theme inwards. Ceilings and floors are concrete, with many of the walls constructed using the same terracotta blocks seen on the outside. All rooms also have large outdoor terraces. 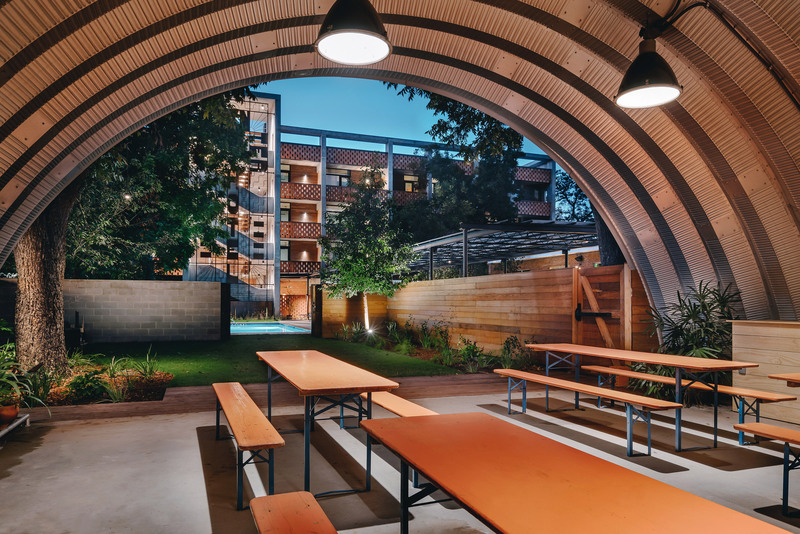 Carpenter Hotel joins a number of accommodation options in Austin, including a recently renovated mid-century hotel, a 1950s -style motel and a high-design hostel that occupies a previously neglected building. 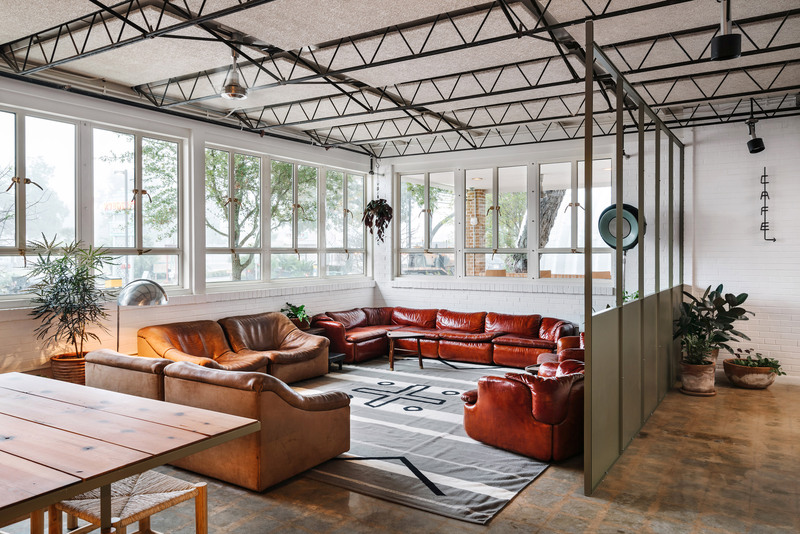 The post Specht Architects transforms former union hall into Carpenter Hotel in Austin appeared first on Dezeen.